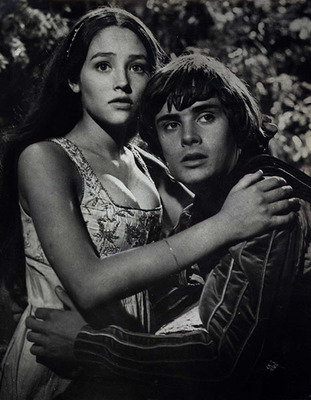 After their wedding night, Romeo and Juliet must part--for Romeo, who has killed Juliet's kinsman, is banished. Juliet: "Wilt thou be gone? It is not yet near day. Stands tiptoe on the misty mountaintops. Filmed in the 14th century Medieval City of Gubbio, Italy. The balcony scenes were filmed on location in the hill village of Artene, southest of Rome, in the garden of the 16th century Palazzo Borghese.